Your safety and security are a priority while you are studying at West Virginia University. We have a strong partnership with our University Police Department to provide you with 24-hour safety within our residence halls. Our Resident Assistants and Night Staff perform nightly walk-throughs of our buildings to ensure the safety and security of our students. Click here to learn more about safety and security on campus. We know that safety and security is very important to students and their families. 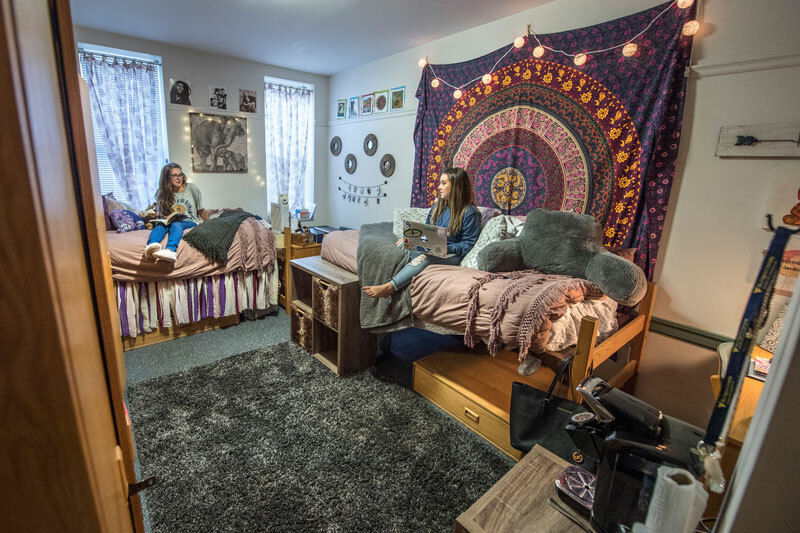 Housing and Residence Life, in coordination with our University Police Department, work with the students to provide a safe and healthy living environment. We believe that safety and security is a shared responsibility. It is an expectation that our students take responsibility of their own safety, as well as supporting the safety and security of their fellow residents. All residents and their guests are responsible for abiding by the Residence Hall Community Standards of Conduct. Our University Police Officers are trained at the West Virginia Police Academy. They walk through our buildings to be present, visit with residents, and respond to emergencies. Our officers also engage with our students by providing educational safety-related programming opportunities. Fire Safety is a top concern of Housing and Residence Life, WVU and the Morgantown Fire Department. The Housing and Residence Life staff in conjunction with the Morgantown Fire Department conduct a minimum of one fire drill per Residence Hall per year to practice the safe and orderly evacuation of the building in the event of a real fire or emergency. Our Residence Hall’s security measures include locking our doors every night at 9pm. Entry into student living areas after 9pm requires the visitor to sign in at the hall’s main desk. Please review our Visitation Policy within our Community Standards of Conduct. Housing and Residence Life Staff help to provide coverage inside all of our Residence Halls. Each Residence Hall has a staff member on duty 24 hours every day of the week. Our Resident Assistants are trained, upper-class students who are available to assist residents with questions and concerns and have significant training to help respond to emergency situations. If the Resident Assistant needs support in responding to student needs, a Residence Hall Coordinator staff member is available 24 hours a day. Keep your room door locked at all times. Do not sign in guests that you do not know. Do not leave your personal belongings unattended in a common area. Whenever possible, carry a cellphone when walking alone. If you see something suspicious, call the police. Take precautions. “Blue Light Phones” can be found at many locations on campus.